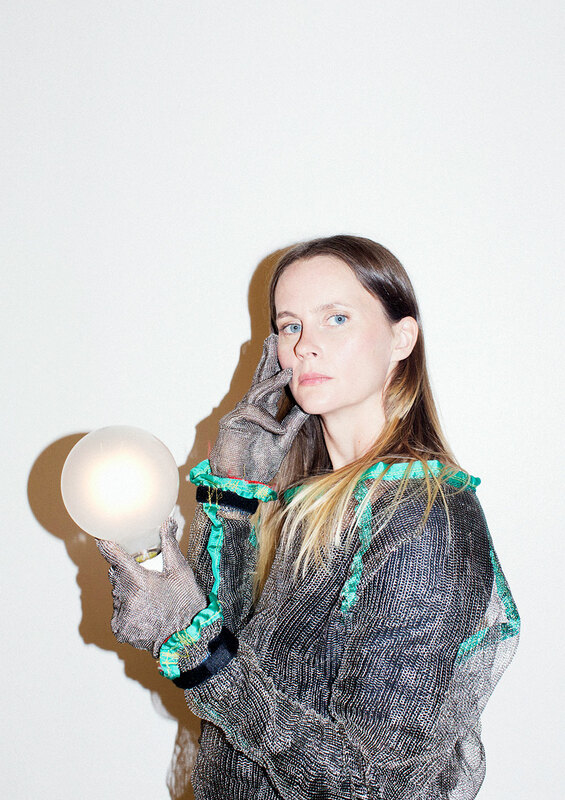 For a long time, the choreographer Stina Nyberg has been walking in the footsteps of the inventor Nikola Tesla; gathering stories, technologies and myths about the vibrant history of the wireless. In The Woman Who Lit The World she tells the story of how she came to visit Tesla’s private library in Belgrade, have her photo taken in Tesla’s room at the Hotel New Yorker, get a hug from the boss of the Tesla Science Center on Long Island, tried to break in into the remaining building of the legendary Adam’s Power Plant in Niagara Falls, failed to build a tiny tesla coil at the maker space Fat Cat Fat Lab in Greenwich Village, danced with a Tesla coil in the barn of a Danish foot therapist, mastered the art of the remote control and finally stopped doubting the magic of electricity. Step by step, she realizes how the story of the genius turns into a story about herself. The Woman Who Lit The World is storytelling in the shape of a performance, as choreographed and told by Stina Nyberg. It is one part of The Tesla Project, which also includes the Tesla coil dance performance Thunderstruck and the choreographed concert Alternating Currents (with musician Maria W. Horn). Supported by the Swedish Arts Council and Köttinspektionen.